Brooke Gladstone on The Trouble with Reality. The On the Media host says press tallies of Trump lies are not enough; we have to cover the consequences. 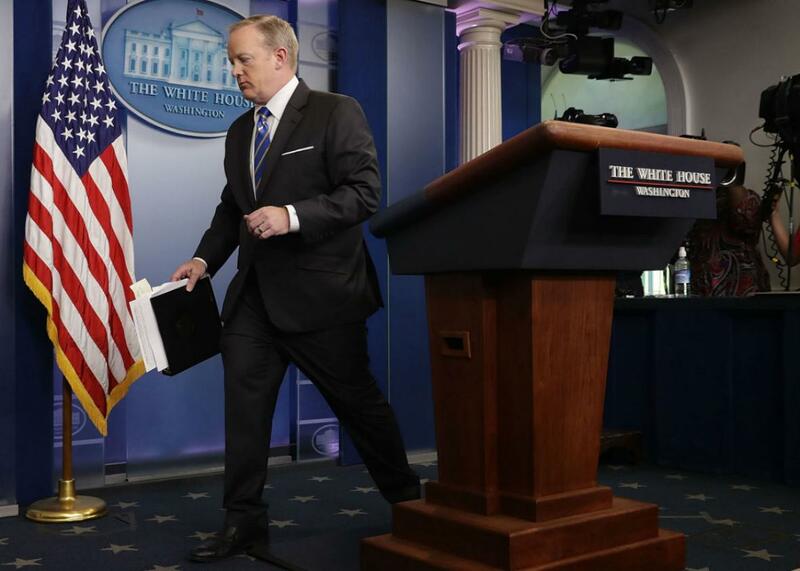 White House Press Secretary Sean Spicer departs after speaking to the media in the briefing room at the White House on Monday. Lists of inaccurate statements by Donald Trump are good and satisfying and a little funny. But they aren’t what we need. We need reporting on the issues behind the lies, says Brooke Gladstone. She’s co-host of On the Media and author of a new book, The Trouble with Reality, which looks at the malfunctioning of American democracy. In the Spiel, why voter ID laws are such a unique American con.